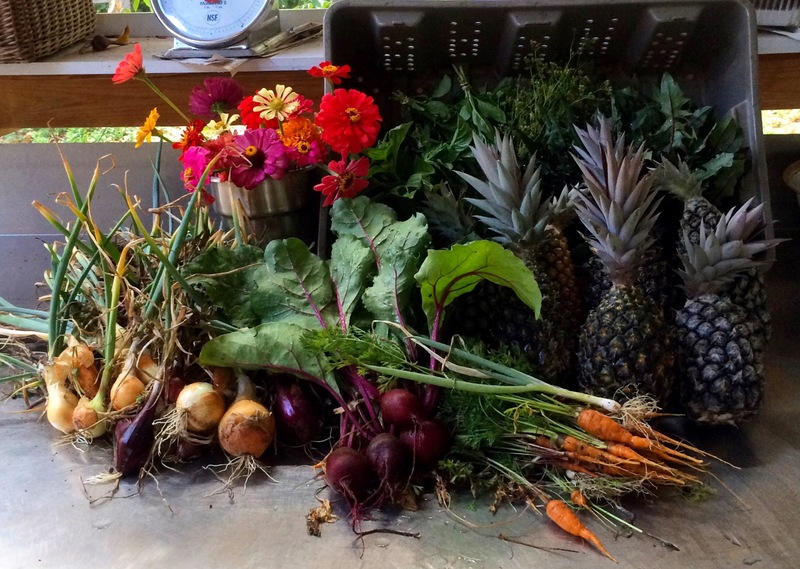 Saturday Farmstand, Pineapples, Schedule Change, Dance! More pineapples today! 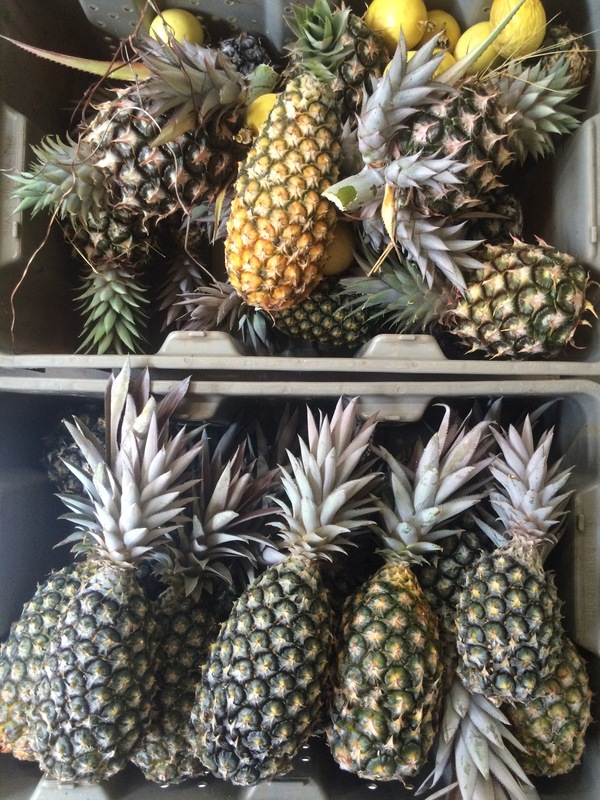 ARTfarm pineapples are ridiculously sweet this year, maybe because of all the dry weather. June seems to be our pineapple month! Our adopted border collies, Ginger and Spice, vigilantly patrol the pineapple gardens at this time of year to discourage rats. 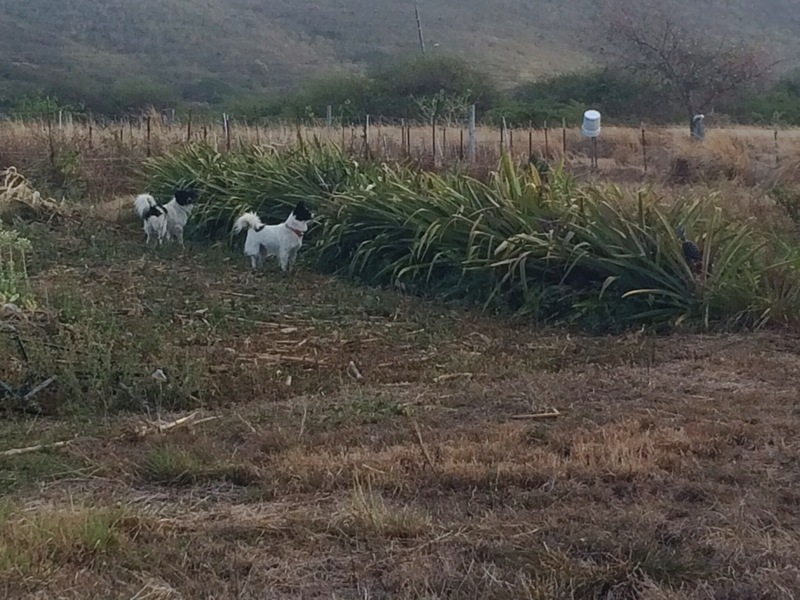 We’ve seen these athletic dogs leap all the way over the row of spiny plants during the hunt. This is a viable and much more entertaining alternative to poisons for controlling crop pests on an organic farm. During dry times there is increased pressure from all pests on farm crops and resources. We are changing our schedule to reflect the weather patterns. The drought is really affecting our ability to grow crops at this point. It also seems like a natural pause to tackle some big farm projects we’ve been wanting to get to. 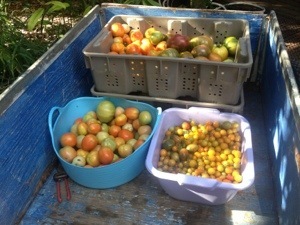 So, we have decided to curtail our Wednesday farmstands until we get some rain or production picks up again. We will be open today and next Saturday as well, and we will play it by ear after that. Mango season is coming, but it also may be a bit delayed by the dry spell we are all in. 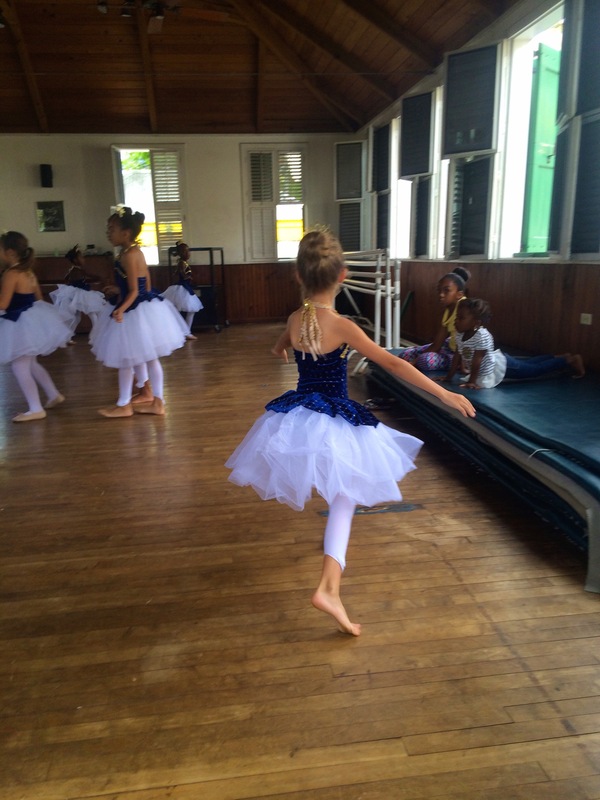 Young dancers preparing for the annual show in the Caribbean Dance studio in Christiansted. Support the arts on St. Croix! The Caribbean Dance School‘s 38th annual performance is Friday, May 29 and Saturday, May 30 at Complex (the high school across from the UVI campus). We have tickets ($15 donation, includes entry into raffle for plane tickets and more) available at the farmstand or you can purchase them at the door! Show time is 7:30 PM. There are adorable tiny ballerinas in the show but also a number of accomplished student and professional dancers — the show is family-friendly and highly entertaining! The closing number in the show features rousing carnival music and traditional calypso dancers, and includes over 30% of the ARTfarm workforce! So come see your farmers in action and support all our local talent in the arts! The Caribbean Dance School and Company is an important cultural institution in the Virgin Islands, founded in 1977 to tour the world and share our island culture, and is still operated by the original artistic directors! It is also an enduring nonprofit organization engaging thousands of students over the years, promoting health, self-esteem, and self discipline. The arts are an important and vibrant part of Virgin Islands culture, help improve our communities in countless ways, and are woefully underfunded. Please come out and show the students you care. Sweet salad mix, bunched arugula, a few cucumbers, tomatoes, beets, carrots, radishes, scallions, a few onions, Italian basil, mint, sage, rosemary, serrano peppers, pineapples, zinnia flowers, eggs from Marti Gotts’ hens, and ice cream from I-Sha. Group photo!! Late spring/early summer at ARTfarm. Not pictured: plenty of sweet salad greens, arugula, peppers, and a few late season tomatoes and cukes! Coming up next weekend, May 8th, from 5pm-8pm – the closing of the Men Of Industry show at Walsh Metal Works Gallery featuring Mike Walsh and Farmer Luca’s work. There’ll be a little Q&A session with the artists. Come enjoy a glass of wine and a last look at these works in the gallery!! 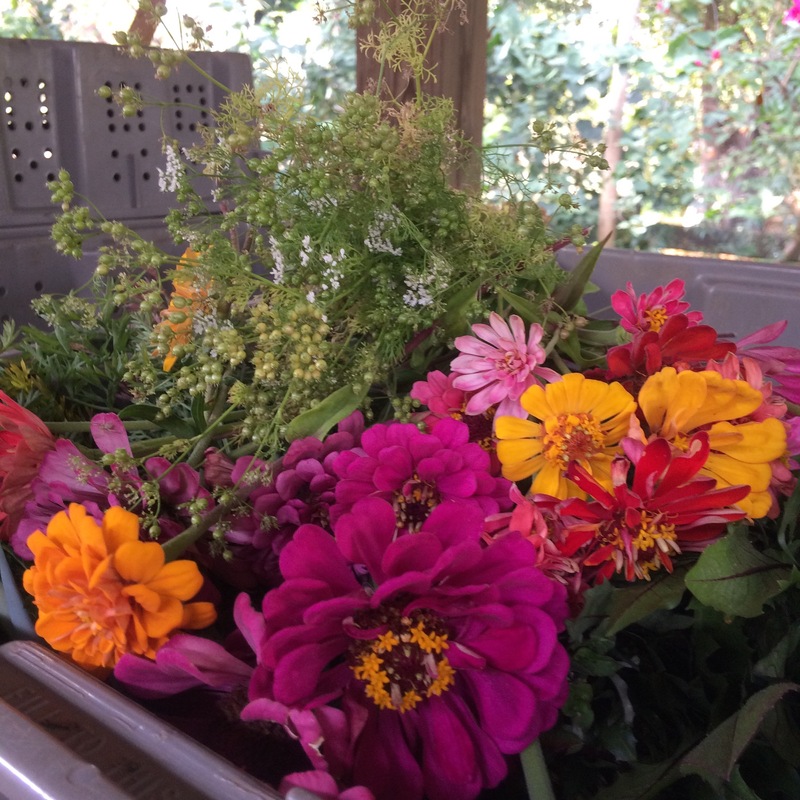 Wednesday Open 3–6 p.m., Get Your Greens! Today’s harvest: Sweet salad mix, arugula, lots of microgreens, a few cucumbers and tomatoes, radishes and beets with leafy green tops, a few Serrano peppers, bananas, sweet potatoes, basil, carrots, onions, and zinnia flowers. From our partner I-Sha we have vegan dairy-free ice cream – bahn’ya – made from local coconuts in completely local fruit flavors. Wednesday before Luca’s art show! Open today 3–6 p.m. 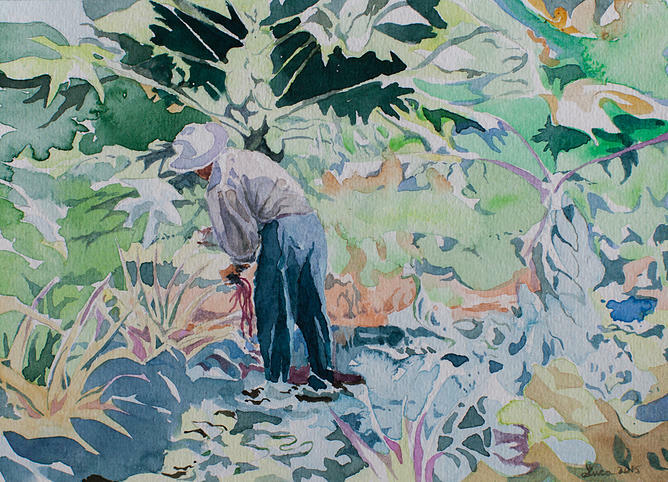 This Friday, 5–8 p.m., please come to the Walsh Metal Works Gallery in Peters Rest for an exhibition of Farmer Luca and Metalworker Mike’s interior lives, expressed in watercolor and steel. The art exhibition will run through May 9, but the fun and festivity is to be had on the opening night! 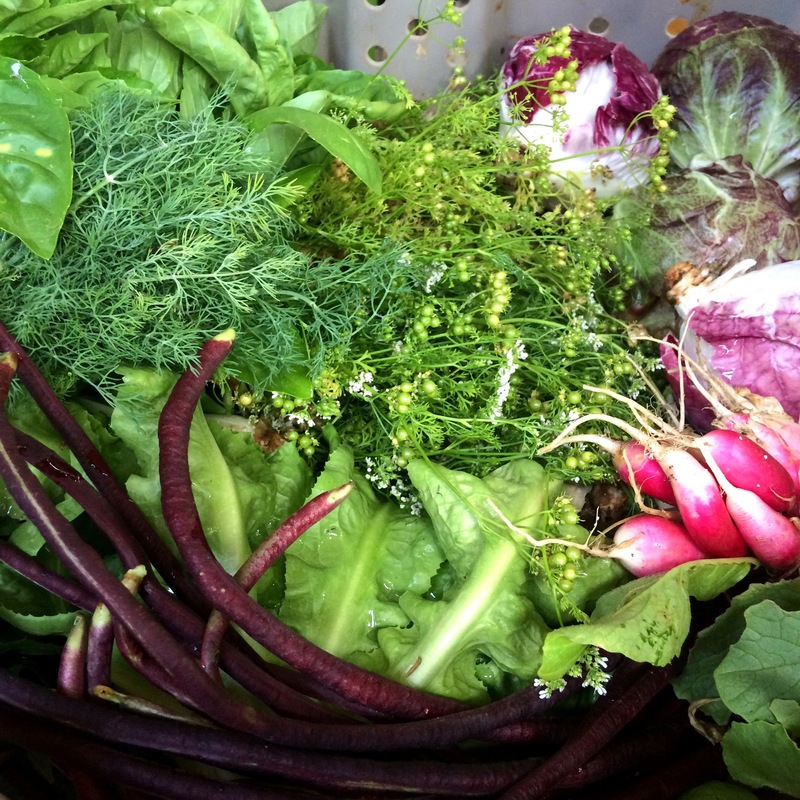 Today’s haul for the farmstand, 3–6 p.m.: Sweet salad mix with a touch of colorful radicchio, teen arugula, teen spicy salad mix, kale, onions, carrots, long beans, cucumbers, tomatoes, cherry tomatoes, Italian basil, cilantro, dill, beets, zinnia flowers, dandelion greens, a few dozen eggs from ARTfarm pastured hens, and from our partner I-Sha amazing handmade vegan ice cream in a varied selection of local fruit flavors. 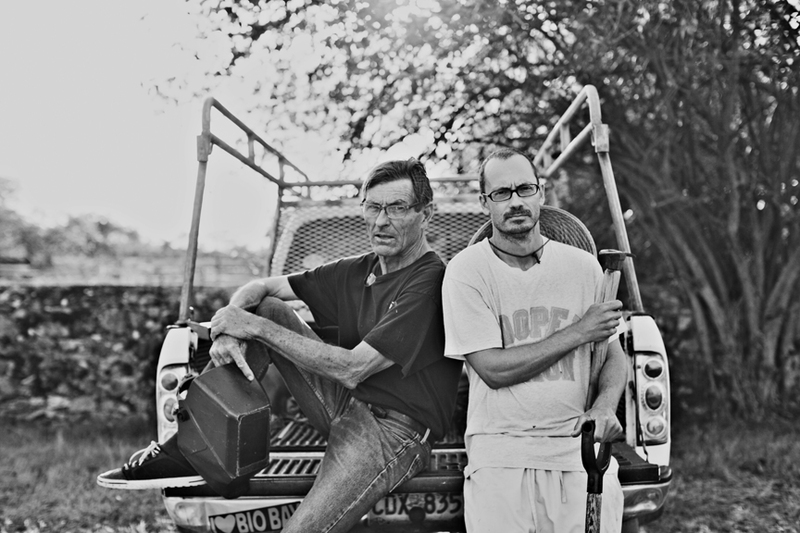 Luca and Mike are both local artists and Men Of Industry on St. Croix. 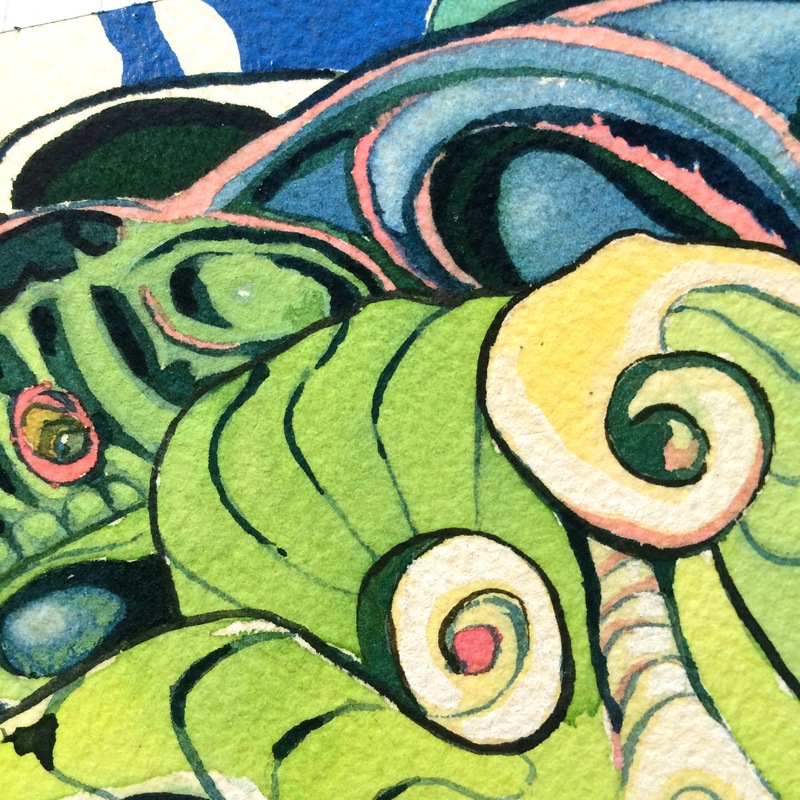 Please come to their exhibition of new works on Friday, April 10th, 2015, 5-8pm! 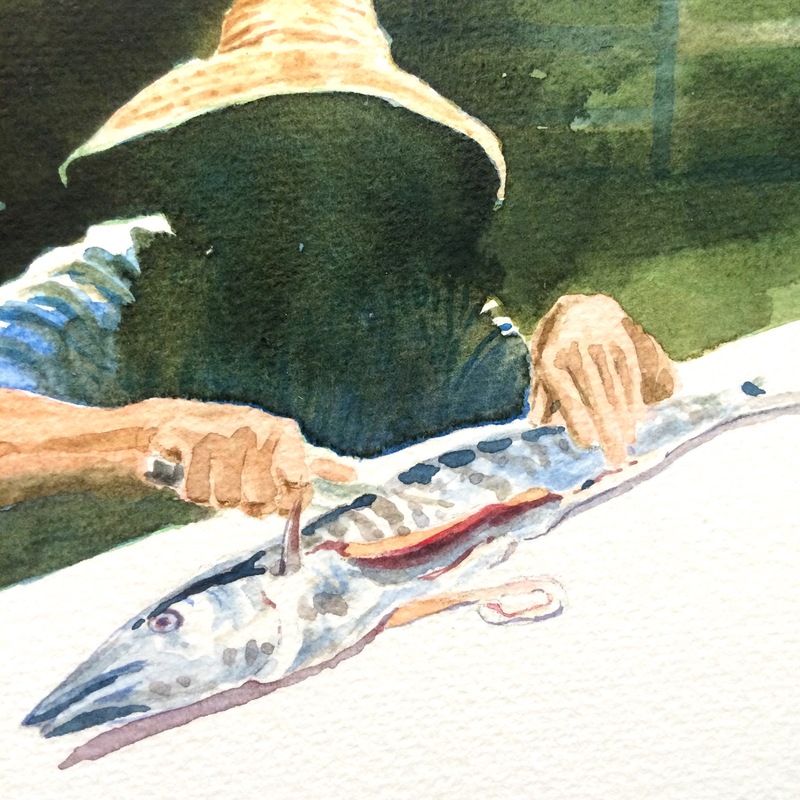 Original watercolor (c)2015 by Luca Gasperi. 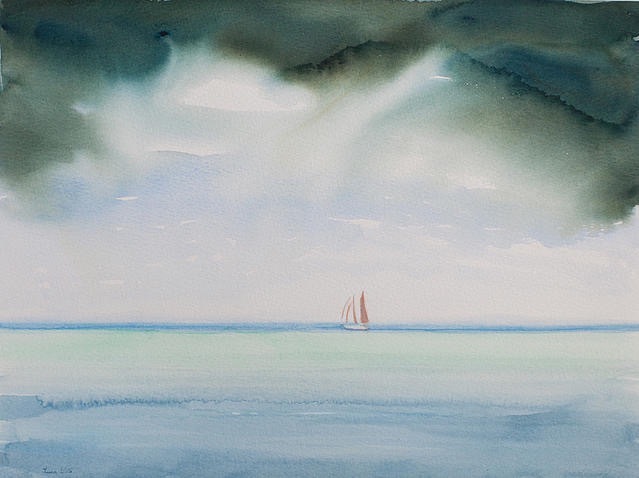 Original watercolor (c)2015 by Luca Gasperi. 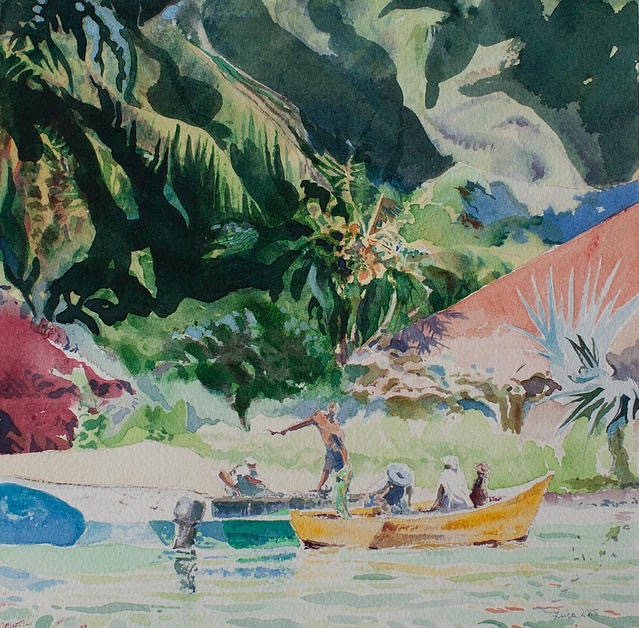 Exhibition opens Friday, April 10th 2015 5-8pm at Walsh Metal Works Gallery in Peters Rest, St. Croix USVI! 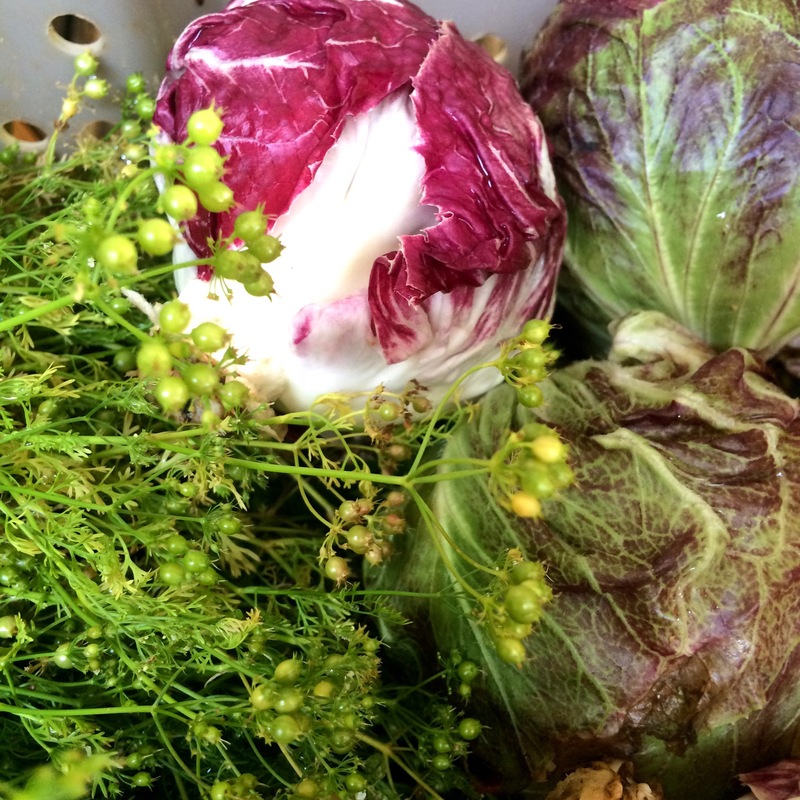 Beautiful heads of radicchio to enliven any dish with color and panache! 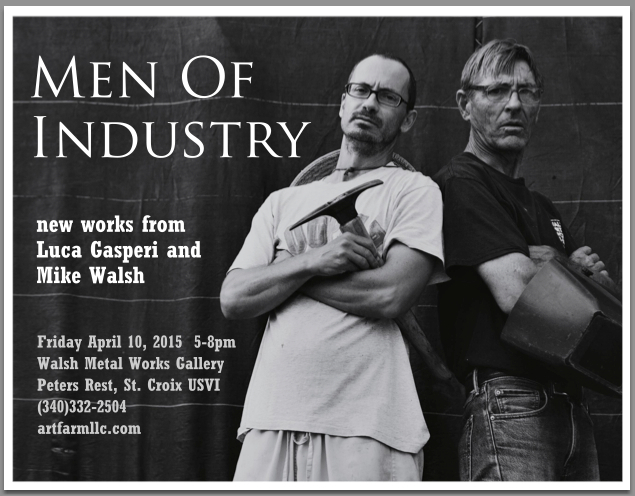 Men Of Industry: Luca and Mike @ Walsh Metal Works Gallery! 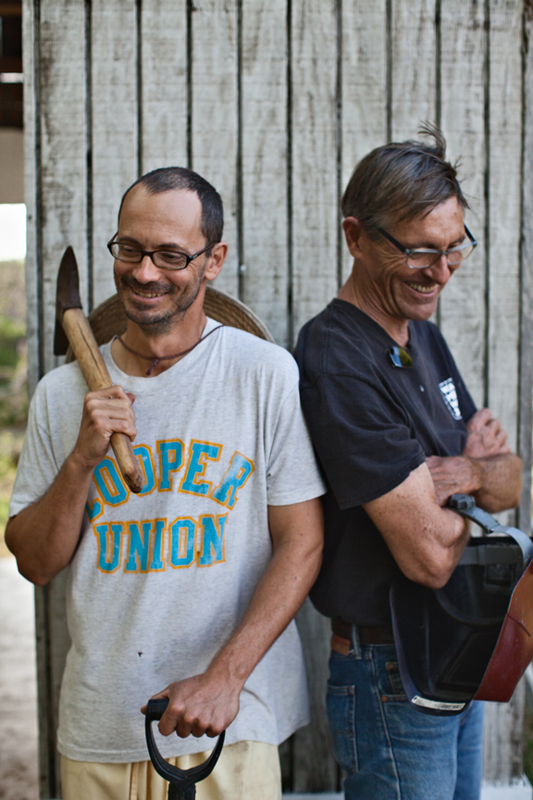 Luca and Mike are both local artists and ‘Men Of Industry’ on St. Croix. Please celebrate their inspiration and perspiration – come to their exhibition of new works on Friday, April 10th, 2015! Finally! Luca is painting again! An exhibition of new works from Farmer Luca Gasperi and Metalworker Mike Walsh, titled “Men Of Industry”, is opening on Friday April 10th 2015 at 5pm, so save the date! The boys had a good time capturing the stoic image Christina had envisioned for the exhibition poster. 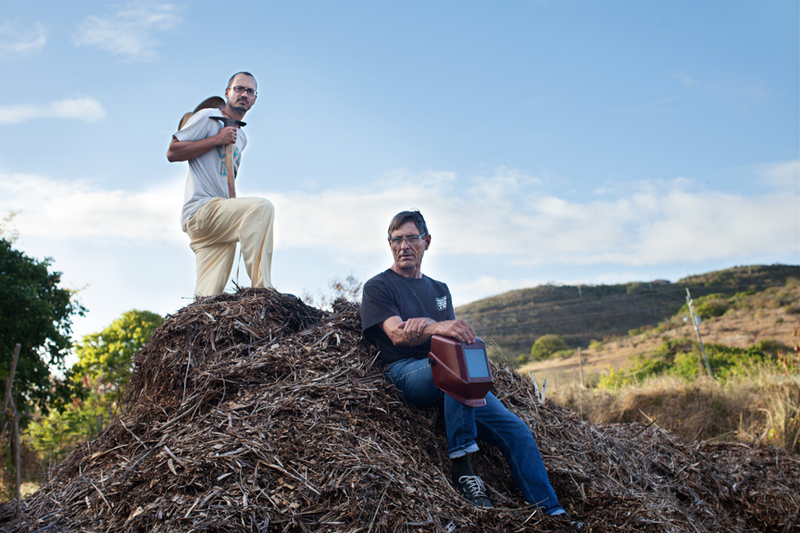 Official ARTfarm Photographer Heather Maynard asked for “Blue Steel” and got some great shots. Let us know if you think we should extend this into a full twelve-month calendar! Here are a couple of outtakes. We tried a few different locations. If they decide to start an 80s cover band, this will make a great album cover. Mike has a James Bond thing going; Luca is doing his Wolverine face. Come out to the show and bring your checkbook in case some piece of art moves you! Mike is about to go big, driving his prices up, and who knows when Luca will have time to paint again in this decade!!? With very few exceptions, we have almost everything that we grow available at our Saturday farmstand today plus late-season mangoes from Farmer Alex! Sweet mix, spicy mix, microgreens, teen arugula, head lettuce in mixed varieties, scallions, onions, beets, radishes, carrots, purple yard long beans, cucumbers, sage, lemon basil, Thai basil, holy basil, Italian basil, garlic chives, cherry tomatoes, slicer tomatoes, local honey, zinnia flowers and probably a few other items that we just can’t even think of right now. Because we are so excited that artist Davina Pallone is having a solo exhibition in our ARTbarn gallery opening this morning at 10 AM!